The beautiful island of La Gomera is perfect for couples looking to escape the hustle and bustle of their everyday lives and enjoy an exciting escape. And where better to stay during your time in the Canary Islands than the Hotel Jardin Tecina; a resort set up to offer a romantic experience for lovers looking for a remote getaway. The fact that La Gomera is not too far from the UK but provides the feeling of being transported to a different world entirely is definitely at plus. However, there are more reasons than that to enjoy an idyllic break for two at the Hotel Jardin Tecina. For the small surcharge of €49 (about £35 at the time of writing) per person, you can receive the warmest of welcomes upon your arrival at the resort. This additional package includes extras both within your room and around the resort, including a glass of Cava with your dinner, a special romantic tasting menu, and a welcome drink to help soothe your tired bodies when you first arrive. You will also receive a bottle of Cava in your room, along with fruits, chocolates and a pillow menu to ensure you find the perfect place to rest your head. Finally, on the day you check out, you will have access to your room until 4pm. This means there is no need to worry about having to carry your bags around with you on your last day, and you can relax right up until you leave. If you are looking to set the mood during your stay at the Hotel Jardin Tecina, there’s the option to turn your room into a spa; complete with an atmosphere that oozes tranquillity. There are four pamper packages to choose from in total, and with names like ‘Love, ‘Serenity’, and ‘Zen’ they’re sure to have you feeling relaxed in no time. Prices range between €8.50 and €11 and everything you need can be summoned by simply dialling nine on your in-room phone. Choose the ‘Love’ package and you’ll be provided with lavender bath salts, candles, musk body milk, a classical music CD, and rose petals will be scattered across the bed. Also, the addition of Champagne and chocolates for an extra €10 will mean you don’t need to leave your room for the rest of the day. 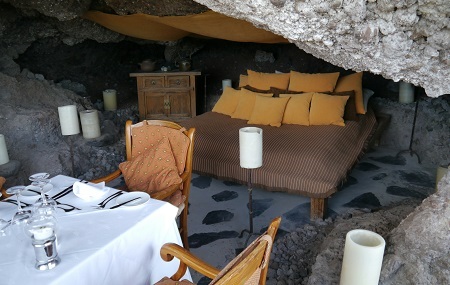 If the confines of your room aren’t romantic or remote enough, there is an option to spend an evening in one of the resort’s cosy caves. This hill-side dining venue provides an intimate space in which to enjoy each other’s company and some excellent food. Take a seat at a table with fantastic views and wait in anticipation as your meal is delivered in a basket via a cable that extends from the bar area. After you’ve gazed lovingly into your partner’s eyes, you can lie back on the bed and gaze up at the stars around you. All in all, this is the perfect way to make the most of your breathtaking and relaxed surroundings. Away from the resort, there are plenty of chances to explore the rest of the island. 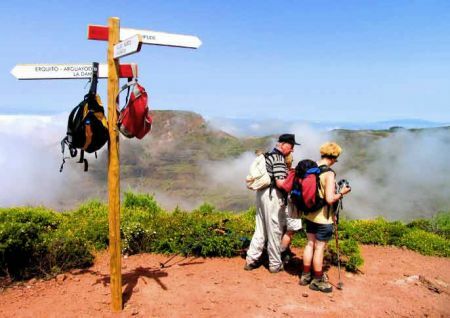 The scenery on La Gomera is dramatic and striking and so the landscape lends itself perfectly to a romantic walk for two. Head to the Garajonay National Park for a whole host of different trails, or simply step off the beaten track to see what hidden gems the island can offer. Back at the Hotel Tecina, you can take part in a guided walk around the grounds. Wander through the botanical garden every Wednesday, as you learn about the fifty different plant species that are taken care of on site. There’s also an opportunity to walk to the adjacent banana plantation to discover how important this fruit is to the people of the Canary Islands and try some for yourself. 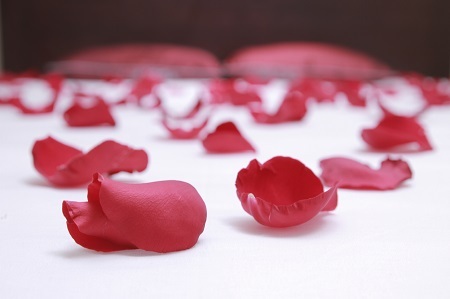 If you would like to enjoy a romantic retreat at the Hotel Jardin Tecina, contact us today for more information. You can call us on the number at the top of the screen or fill in an online contact form.